The International Committee for Animal Recording (ICAR) aims to promote the development and improvement of performance recording and evaluation of livestock. 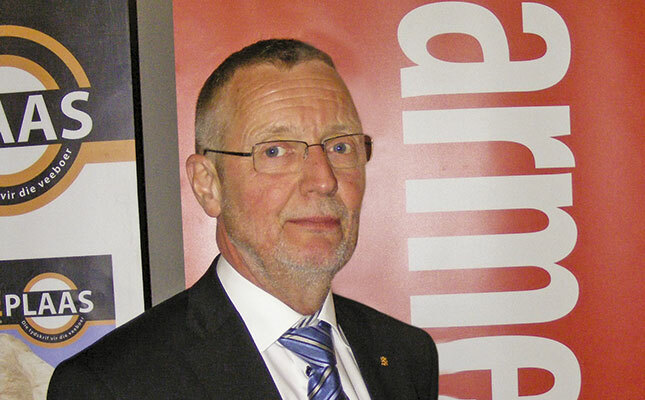 Annelie Coleman spoke to ICAR president Uffe Lauritsen. Why is animal recording on an international scale so important? ICAR [the International Committee for Animal Recording] initially concentrated on milk recording, but the organisation’s activities have since expanded to many fields of animal production. One of the most important reasons for establishing ICAR was to standardise animal recording globally. Milk recording, for instance, is a very important tool for dairy farmers to improve the genetic ability of their cows, and to provide management and quality control information. The results of milk recording have played a decisive role in the international comparison of production and quality traits in the genetic values of breeding animals. Milk recording results have also played a vital role in the standardisation of measuring equipment and technology. Tell us about the history of global animal recording. ICAR’s work started in 1951, concentrating only on dairy cattle. Since then, beef cattle, sheep and goats have been added, and recently, alpaca wool. Our objective as a non-profit organisation is to promote the development of performance recording for farm animals. ICAR’s responsibility is to determine the rules, standards and guidelines for identifying animals, as well as registering their parentage, recording their performance, and evaluating and publicising the findings. We also act as the co-ordinator of all animal performance recording activities and evaluations within and among international organisations, public authorities and industry. Through the findings of performance recording, we aim to assess the value of animals and the establishment of codes of conduct. ICAR also facilitates the interpretation of findings by publishing reports, articles, journals and books, hosting seminars and workshops, and granting scholarships to researchers and students. Animal recording has developed into a well-managed process based on sound scientific principles. It is, however, important to keep in mind that ICAR is an organisation consisting of farmer-owned and controlled national recording bodies. This means that ICAR is only two levels away from on-the-ground farm practices and formulates its rules and guidelines accordingly. In turn, this means that farmers worldwide are only two steps away from contributing and adding value to ICAR’s processes. Which African countries are members of ICAR? Our African members include Egypt, Tunisia and Morocco. SA Stud Book and the SA Agricultural Research Council have also received ICAR’s Certificate of Quality. This is a recognition that the ICAR member adheres to the relevant guidelines and standards in its activities, and that the work it does is of a professional and internationally recognised standard. In what way does animal recording support food security? The essence of effective animal recording is the correct, timely and professional bookkeeping of events on the farm. This pertains to the standards set by livestock breeders’ societies, as well as the production and documentation of safe animal products. Food traceability, for example, is already legally required in a number of countries. I therefore believe that animal recording is set to play an increasingly important role. It has been proved that well-managed recording practices result in increased production, quality and profitability. This, in effect, ensures food security through long-term sustainable farming. How is genomics managed in terms of ICAR’s mandate? ICAR has been involved in the standardisation of rules for the accreditation of laboratories for parentage verification and genetic evaluation of livestock through international breeding values (MACE) for many years. The use of genomic information to fortify the breeding values of farm animals falls within the ambit of ICAR’s activities. These aspects are co-ordinated by our Interbull committee. How does animal recording benefit the consumer? Efficient production depends on information. To measure is to know. This means that the food products that are made available to the consumer are safe, sustainable and of the best quality. For example, the somatic cell count in milk is closely monitored through milk recordings. We can also determine the health regime of an individual animal through detailed recording, and consequently keep track of any residues in food. Animal welfare is a very important part of our work and we’ve recently started an animal welfare working group to address the global animal production environment. However, the consumer is our ultimate client, and ICAR and its members are committed to the production of safe, nutritious animal products. How do emerging economies such as South Africa and India stand to gain from animal recording? To a certain degree, animal recording is even more important for emerging or Third World countries than for First World economies. Ongoing recording and evaluation forms the basis of profitable animal production and production by animals. It’s therefore essential that the leaders of such economies implement animal recording processes as a matter of urgency. I am not a believer in elaborate programmes and huge quantities of technical information. Farmers with one or two cows can use apps on mobile phones, for example, to report on the daily production of their animals. We need to start where the people actually are and not where we would like them to be. Animal recording is definitely not only intended for purebred animals. Worldwide, more recording is being done of the parentage, ownership and production traits of commercial animals than of purebred animals. What are ICAR’s biggest challenges and opportunities? ICAR is a worldwide organisation open to anyone who deals with animal recording of mainly ruminants. But we are all employed by farmers’ organisations and work for them. It is therefore ICAR’s responsibility to deal with animal recording issues on behalf of our members. ICAR needs to constantly keep abreast of new technology, the manufacturers thereof, and the latest research and developments. It is also our responsibility to keep in touch with livestock breeders and their needs. We anticipate a growing need for animal recording and the data gathered in this way, because of the ever increasing pressure on our natural resources. The burgeoning demand for energy, food and profits calls for improved efficiencies at farm level to ensure longer term sustainability and profitability. Sufficient data is essential for us to make informed decisions. For more information, phone ICAR on +39 06 4420 2639, fax +39 06 4426 6798 or email [email protected].